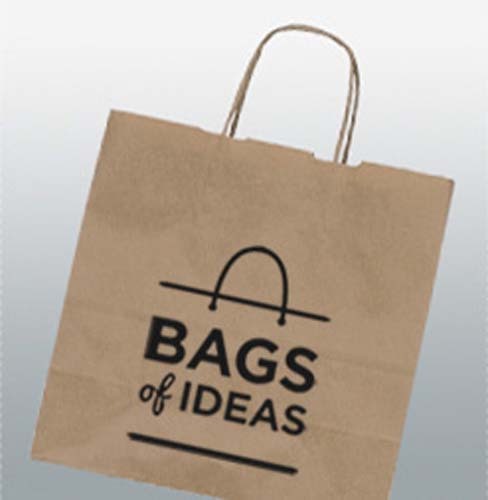 Made from brown or white Kraft paper, with twist handles, these small bags are a great product for all over designs. 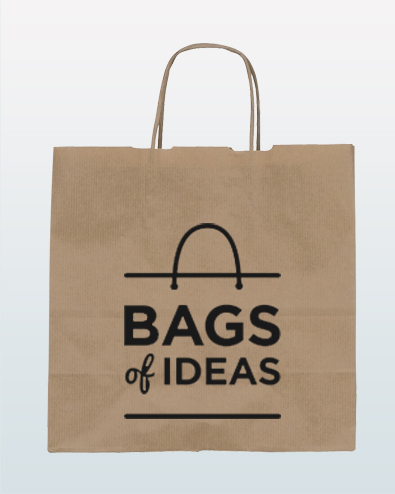 The bags are strong and durable, perfect for the clothing, beauty or food retail environment. 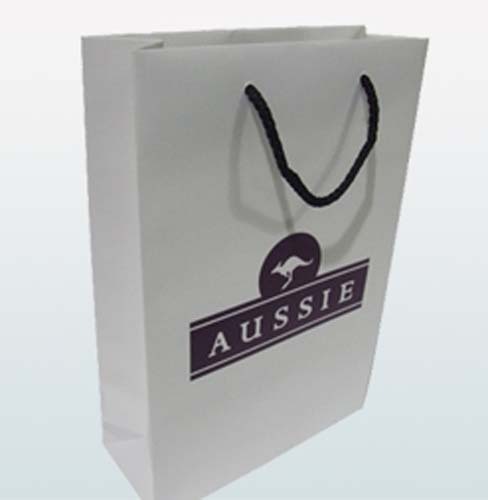 On high quantities the bags can be bespoke designed; the handles can be colour matched, and internal printing is possible with this product. Other sizes are also available on request. Prices are based on stock bags, in brown or white, with a 1 colour print to one position.